March was such an up and down month for me. I didn’t feel like I accomplished as much as I had hoped, but my bullet journal reminded me otherwise. I went on some adventures, I worked and worked out, I’m in the process of digitizing a lot of my old paper files because the clutter is getting to me (more in a different blog post). However, as always, with the end of a new month comes a favourite book. My favourite book of the month was All The Ways Home by Elsie Chapman, which doesn’t release until May. Let’s just say, it is one of the best middle grade books I’ve read this year outside of Ruby in the Sky. Both those are worth putting on your TBR if you love middle grade. My favourite book of the month was an adult literary novel. The book itself was a pleasant surprise from an author I fell in love with last year. Let’s reveal it, shall we? This is the story of a woman who asks her husband to by her Fruity Pebbles and he ends up not coming home because he is killed by a truck driver. Elise has barely been married to her husband and he is sudden taken. This book is an amazing look at grief and how we cope. I found myself understanding Elise’s actions all too well, if I’m being honest. I also loved the bits that were set in the past where Elise and Ben met and how they fell for each other. I’m somewhat of a closeted romantic, but bits of this book did have some swoon, but mostly I cried my eyes out. This is my second Taylor Jenkins Reid book and I know I am smitten with he writing now after this one and The Seven Husbands of Evelyn Hugo. Let’s see what April brings me! This entry was posted in Uncategorized and tagged fave of the month, feature, Sam on April 8, 2019 by samcmar. Fave of the Month – February! It’s the beginning of March, which means it’s time to check in with what I read. 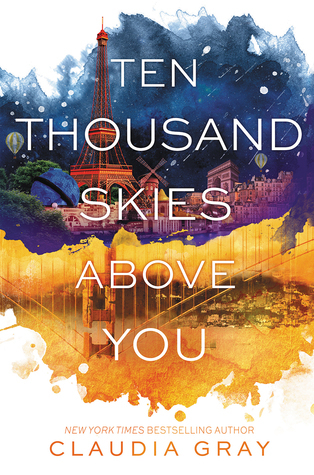 I would say that hands down the best book I read in February was Ruby in the Sky, but given I did a full review on it, I thought I’d share a different read worth noting as well. I feel like this book isn’t getting the same level of hype that The Hate U Give did. This book is fantastic, focusing on family and rap music. Bri creates a song that ends up going viral for the wrong reasons, and she goes on an internal journey of understanding the reactions she receives. I love this book because it’s rare in a YA book for a female character to have the level of anger that Bri does and get away with it. She’s furious, raw, and when she screws up, she’s allowed to make the mistakes and worth on self-reflection and forgiveness. Her song is also hella catchy, and I cannot wait until the film is made to hear what Bri’s song is actually going to sound like. I also loved her family, her desire to want to help her family in any way that she can. Garden Heights continues to be such a memorable place, and I cannot wait to see who Angie Thomas introduces readers to next. This entry was posted in Uncategorized and tagged fave of the month, feature, Sam on March 4, 2019 by samcmar. River & Sam’s Fave Books of January! A new year means there’s going to be new monthly favourites. For those of you who may be new to the blog, River and I always try to share a favourite book of the month that we want to recommend to you all. Without further ado, here’s the picks! River’s Thoughts: This was one of my most anticipated books for 2016 and I am so happy to say that it lived up to my expectations!!! It’s a perfect companion to Parker’s debut, Beware the Wild and I was SO happy to return to Sticks and these characters! This book is so creepy and so damn country I can’t even stand it!!! I was enchanted from the start and I am crossing my fingers that there will be a third book because I am not ready to leave the swamp! Sam’s Thoughts: This book was a recent release, but my goodness, this it what top grade middle grade is like! Finding Serendipity was one of my favourite reads from last year, and the sequel was just as awesome. This series is full of imagination and charm, and It will get you excited for a whimsical adventure. If you love middle grade, or have a middle grade lover in your life, get them reading this series! What was your favourite read in January? Let us know in the comments! This entry was posted in Uncategorized and tagged fave of the month, feature, features, River, Sam on February 6, 2016 by samcmar. HAPPY NEW YEARS!!! While 2015 has come and gone, and we now enter 2016, it’s time to share what River and I’s favourite reads from December were. I think River’s alone will surprise a lot of you. What the heck? River picked an adult fiction novel? Who is this woman and where did my fangirly co-blogger go? All kidding aside, I need to read this book, and the space fangirling I got via Twitter for this book only sealed that need to read this book further. I am so happy that River enjoyed this book and it’s definitely one I’ll need to make time for in 2016. While I had quite a few five-star reads in December, this was the book I kept thinking about after I had finished it and am still thinking about. It’s a very strange book with some very important topics being discussed. I won’t go into too much detail, just know that we are doing a blog tour post for this book where I express a lot of the emotions this book left me with. It comes out TODAY! So definitely check it out either from your library or grab a copy from your local book store. 2015 was a roller coaster year for reading. I read 419 books (well this including graphic novels) and River read 159 books. I think these are QUITE the accomplishments, wouldn’t you say? Let us know in the comments what your favourite book in 2015 was, and what your reading goals are! We’d love to hear about them. This entry was posted in Uncategorized and tagged fave of the month, feature, features, River, Sam on January 5, 2016 by samcmar. ONE MONTH LEFT YOU GUYS. And I still have so many damn books to read. I am not winning, and I’ve read almost four-hundred books/comics/graphic novels. Seriously. I keep hoping I’ll make a bigger dent in my own TBR pile and then I get distracted by ARCs and library books… OH WELL. Here’s the favourites from November that we read! River is totally getting ahead of herself and has jumped into the 2016 releases. I can’t say I’ve read as many as she has already, but this one was a lot of OMG and OMG DMs via Twitter. She said this book made her uncomfortable, which means I need to check it out. The Death and Life of Zebulon Finch almost snagged my pick for November, until I read this book. It’s actually one of the picks I chose for my Book Riot 2015 Reading Challenge (which means I only have ONE book to read now!). This book made me laugh, cry, scream, feel uncomfortable. It was such an emotional experience from start to finish. I kept thinking about it when I wasn’t reading it (and even while I was working). LaCour is two for two for me (I just have one more of her books to read to be caught up), but seriously if you like a read that will emotionally deck you, this is a good one. December is upon us, and that means I am going to try and read my little heart out. I still have three weeks of work and then both my libraries close for the holidays (omg two weeks off! All for reading! And being social.. I guess.) How many books are you going to try and squeeze into the month of December? What are you still desperate to read before the year is up? I want to know in the comments! This entry was posted in Uncategorized and tagged fave of the month, feature, features, River, Sam on December 1, 2015 by samcmar. It’s hard to believe there is only two months of the year left, but there you have it. October was an awesome month for reading, though I did not get to read as many spooky reads as I would have liked. I am now in the middle of the six hundred page beast The Life and Death of Zebulon Finch: Volume 1, and right now it is fitting the bill well as my spooky read. It’s so good, you guys! I can’t wait to share my thoughts on it with you guys soon. Anywho, we had favourites this month! Let us share them! If I am being honest, I thought River would have picked Front Lines by Michael Grant, if only because she had been fangirling it a good chunk of the month. However, then she read this book and told me in all caps how I need to read this series RIGHT NOW. Considering all the books we own and share between each other… I’m going to be in big trouble soon if I don’t get to this one soonish. Anywho, check out River’s recent review of the book! My friend Katharine over @ Ventureadlaxre always shares her favourite Aussie authors with me. Last year she introduced me to Fiona Wood and sent me both Wildlife and Six Impossible Things, both I devoured and gave five stars to. 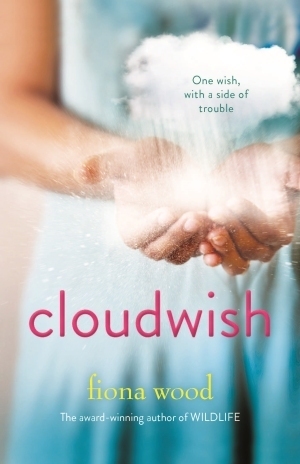 It’s no surprise then that this would be my favourite book of the month simply because since I had heard about Cloudwish, I knew it would be everything I love in a tough contemporary read — it did not disappoint. Seriously though, if you love raw and tough contemporary reads, you need to check out Fiona Wood. And there you have it! What was your favourite read in October? Let us know in the comments! This entry was posted in Uncategorized and tagged fave of the month, feature, features, River, Sam on November 1, 2015 by samcmar.